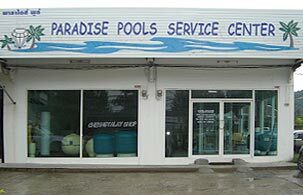 you are here : home > service & business > Paradise Pools Co., Ltd.
overview of Paradise Pools Co., Ltd.
Paradise Pools Phuket established in 1998 in Cherng Talay is a professional in swimming pool maintenance service. With our service efficiency, we can help you in pool cleaning, chemicals, pool supplies and maintenance. What Paradise pools can do for you. Full pool servicing and maintenance from Airport through to Patong Over 200 customers. photo gallery of Paradise Pools Co., Ltd.
map & location of Paradise Pools Co., Ltd.